One of the benefits of Domino server upgrades, when compared to some other emails systems, is the ease with which it is possible to perform upgrades in situ, without having to migrate to new hardware. So with this in mind, it came as somewhat of a surprise to discover that when renaming an existing Domino server, Lotus actually advise that The easiest way is to create a new server and move all users, databases, and needed functions to the new server using the AdminP task. Please let me know if you think I’ve missed anything, or if you have any suggestions on how to improve this process. Have you ever quickly needed to check whether or not, a Blackberry device is active and successfully receiving mail over-the-air? has been delivered to the recipient’s BlackBerry Handheld. For those of you who are not already noticed, Sametime Connect Client 7.51 or later (and also the embedded version in the Notes 8.0.1 Client), only displays server groups (from the Domino Directory) as a single concatenated level. As a result, any nested groups or sub-groups within it, are automatically ‘expanded’ into their (unique) constitute members and the merged result displayed. This is useful. Conversely, user defined ‘local’ Sametime groups, are permitted to contain one additional layer of collapsable groups to be displayed. This is also useful. So, how could these two differing behaviours be beneficially used? Many organisations make use of nested groups and sub-groups, to create an hierarchical structure for organisational, departmental, or even functional mailing purposes. Often these individual, and sometimes unrelated, sub-groups, contain ‘duplicate’ names, which when added as individual buddy groups in Sametime, results in multiple entries (in different groups) for the same individual. So, by using a higher level nested server group, containing multiple sub-groups, it is possible to have a single collapsable section for all (unique) Sametime users in a particular department etc., or even perhaps, for an entire organisation. Local Sametime groups can be used to save screen real estate and allow sets of multiple server groups to be brought together into a single collapsable section. This is achieved by simply creating a local Sametime group and adding the necessary multiple server sub-groups or even groups to it. If your organisation is planning an upgrade from ND6.x and uses Mail-in Databases (based on the standard mail file template) for room or resource calendars etc., then beware that in ND7 and later, Busytime has undergone a very subtle but important change . . .
Now, instead of processing both Mail files and Mail-in Databases, in ND7 and later, Busytime will only processes the former. This means that following any upgrade, Busytime information will no longer be collected and displayed for Mail-In Databases. To prevent this potential issue from occuring, simply create a new Person Document using the the same name, file path etc., as per the original Mail-in Database Document, and then delete the now superfluous Mail-in Database Document. 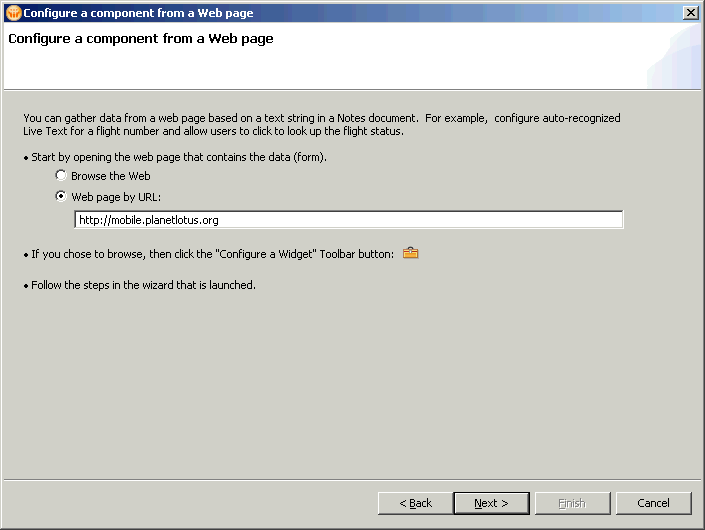 One of the great new features in the new Notes 8.0.1 Client, is the “My Widgets” sidebar add-in. This enables web pages, or even Notes Views, to be easily rendered in a sidebar panel. However because we are displaying information in a sidebar, we should endeavor to ensure that it’s content is concise and in particular, not too “wide” for a normally sized sidebar. Then continue hitting Next on each of the remaining Wizard dialogs, until you have no option left but to Finish. So now all that is left, is to open your newly created Widget (from the My Widgets panel) and use just it as you would any other sidebar panel. 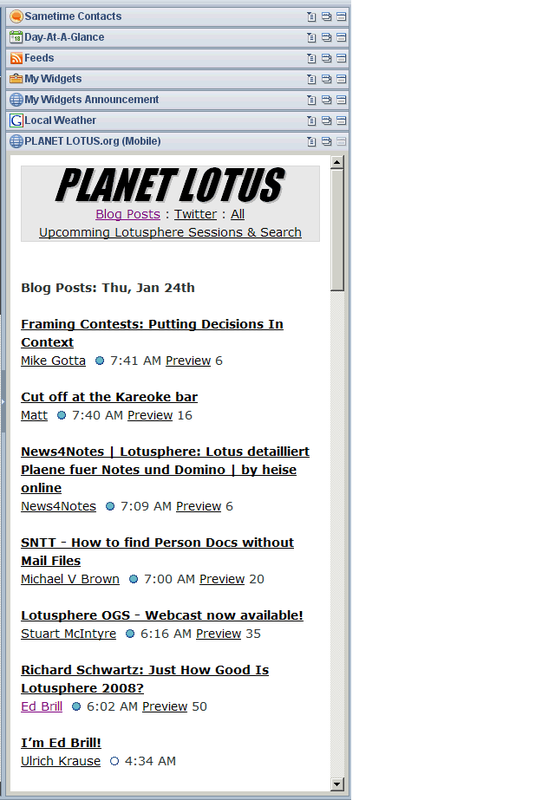 Hint: Once in the PlanetLotus panel, use a combination of the PlanetLotus preview hotspot and the backspace key to easily navigate around its content. SnTT: Is There a Problem with Internet Mail? Okay Admins, how many times have you been asked this question and what do you do to test it? Immediately drop everything that you’re doing and quickly send a couple of test emails in/out to your personal Internet email account and then take any necessary corrective action if required? Whilst that works, wouldn’t it be way more efficient if you could proactively monitor Internet mail 24/7 and automatically raise alerts if there is a problem, plus also produce availability stats, and all from the comfort of your internal Notes environment? Now I fully realise that you cannot monitor every single email, but if you periodically send and monitor receipt of, a token message every few minutes, then that would certainly give you a nice warm indicative feel for exactly how Internet mail is performing and more importantly, flag potential issues before they become problems. Well you can and quite easily, with the aid of a very useful third party commercial application called GSX Monitor, which is specifically written for Notes/Domino environments (there maybe other suitable applications). Amongst its many supervisory/reporting/alerting functions and capabilities, GSX Monitor can monitor server/network availability, database replication, Domino/BES/Sametime server tasks plus internal Notes mail routing. And it is this last item that we will focus on here, as it is provides all of our required core functionality, to which we simply need to add the ability to monitor external SMTP mail. GSX Monitor monitors Mail Routing by regularly sending ‘coded’ emails to a nominated target email address and deposits them into the router mail.box of a source server. 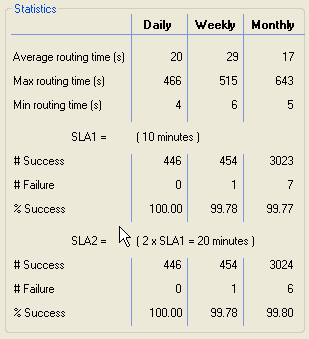 Notes then routes the message to its destination address in the normal way and after a pre-configured (SLA) time, GSX Monitor then checks the target’s mailbox for the relevant emails, where it logs the delivery times and then if the SLA criteria has been broken, can optionally raise an alert. Alas things are not always that easy, even with commercial software, and one “limitation” of GSX Monitor, is that it requires a direct network connection (NRPC) to all of the Domino servers that it monitors. Furthermore, Notes attempts to route mail intelligently by its shortest path, which is kind of a problem when monitoring external Internet mail, as you would need two Domino servers, with different Internet Mail Domain addresses and external SMTP connectivity, in order to fully test both inbound and outbound Internet traffic. My solution to this issue is really quite obvious and very easy to implement at little or no cost (apart of course from GSX Monitor!). . . Simply configure GSX Monitor to send its test emails out to an externally hosted POP/IMAP account, which is inturn, configured to auto-forward or redirect it, back to a nominated internal account, which GSX Monitor can then monitor as its target mailbox! As for the POP/IMAP mail hosting, it is best if it supports auto-forward/redirection of the entire message and for this, I currently use and highly recommend, 1&1 Internet. Although in the past I’ve also successfully used bigfoot.com and I suspect that it might also work with GoogleMail (although I’ve not yet have the opportunity to test this). Oh, one last thing. don’t forget to ensure that the address which GSX Monitor uses to send its emails, is enabled for sending Internet mail, and also that it is added to any SMTP Whitelists in your environment, in order to prevent the test messages falling fowl of any anti-spam/spoofing policies that your company may have implemented. This SnTT is a Sametime related follow-up to an excellent SnTT posting a short while back, by Paul Mooney, entitled Preventing users from mailing specific groups. It’s a great tip. 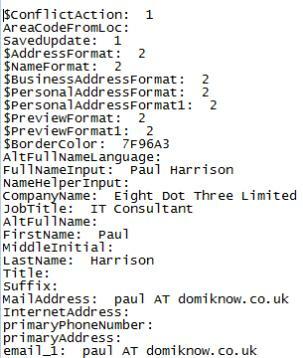 However if you share your Domino Directory (and its hidden groups) with your Sametime Server, then I recently discovered a potentially nasty caveat in using this technique, which I think is important to share, particularly if the members of these groups are private and confidential, such as for example, client email addresses. Basically, whilst these groups are effectively protected by Readers Names fields which prevents (unspecified) Notes users viewing or accessing them. Sametime totally disregards this and as a result, allows not only the names of these hidden groups to be browsed, but perhaps more importantly, for their members names to be easily viewed. Without changing the method of providing this hidden group functionality, or perhaps even changing the design of the Domino Directory, the only workaround is to use a selective replication formula on your Sametime Servers’ Domino Directory, in order to prevent these specific documents from replicating across. If anyone has any alternative ways of dealing with this issue, then I’d love to hear them . . . 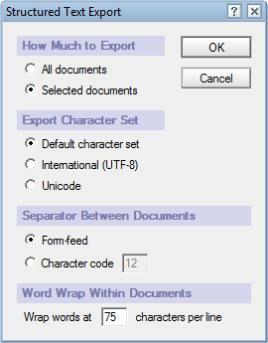 Ever been at a users machine and needed to export the field text (minus any rich text attributes), of one or more selected Notes Documents, from any native Notes application, but you didn’t fancy using the Document Properties box and cycling though each document, one at a time, copying and pasting? Well, if you can select the document(s) in a view, help is at hand, by exporting them into structured text and all from the comfort of your regular Notes client, in just three easy steps . . .
1. Open the necessary view and select the required document(s) in the normal way. I find this technique particularly useful when examining the mail message routing information (including Internet MIME) of multiple messages, or when trying to track down some obscure field related bug. 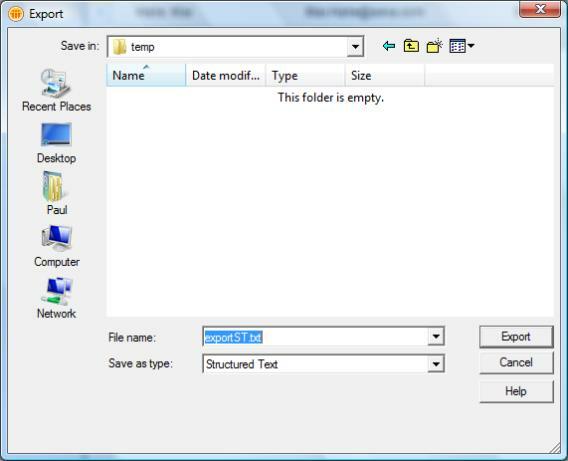 Additional information regarding exporting documents into structured text, can be found in the Notes Client Help. Apologies to those old hands who already knew this tip, but it’s often been useful to me and I felt that it just had to be given it’s five minutes of fame. You are currently browsing the archives for the SnTT category.